Safe dates are designed to provide guidance on when it is safe to assume that a species is nesting in an area. They are necessary because many migratory species will engage in breeding behaviors before reaching their nesting sites. Consequently, you might see ducks courting or hear warblers singing when they are still hundreds of miles from where they breed. The atlas project aims to identify which species actually nest within each block, however, so including all these migratory species could be very misleading. Limiting breeding records to a species’ safe dates helps minimize this problem, by eliminating most cases when breeding behaviors might be attributable to migrants. Of course, birds do not have nicely discrete migratory and nesting periods – some individuals of a species will start nesting while others are still migrating through the same area. 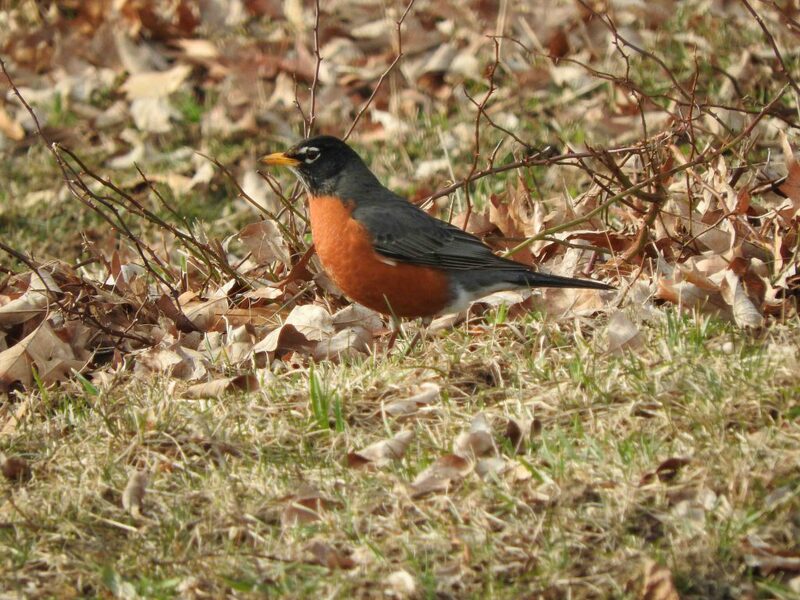 For example, many of the American robins and red-winged blackbirds that are in Connecticut right now, are migrants that will breed farther north. Nonetheless, some individuals of these species are likely to stay and breed right where they are. So, if you hear a singing robin, should you code it S for possible breeding, or just ignore it because we are outside the safe dates? To be safe, it is best to wait in most cases. There are exceptions, however. Rare breeders should probably be reported no matter what, as that highlights the need for someone to return later in the summer to try to confirm that they are indeed breeding. Species that are hard to find later in the summer (e.g., American woodcock) are also worth reporting, as we might not get a chance to find them later on. And, of course, any species that you can confirm is breeding (e.g., because you found a nest or obtained other confirmatory evidence) should be reported. At the suggestion of volunteer Micky Komara, we have reorganized the table of safe dates in three different ways to make it easier to use. First, we have it in taxonomic order for those who are used to the order that species appear in a field guide. Second, we have arranged species alphabetically, to speed up the search for those who don’t. Finally, we have arranged species chronologically, so that those that are “safe” to record earliest in the year, appear at the start of the list. Next PostNext What species should you report?